This 12" x 12" black granite CORRECTIONAL OFFICER'S PRAYER is an original verse that I wrote after working 17 years inside a maximum security Correctional instititution. 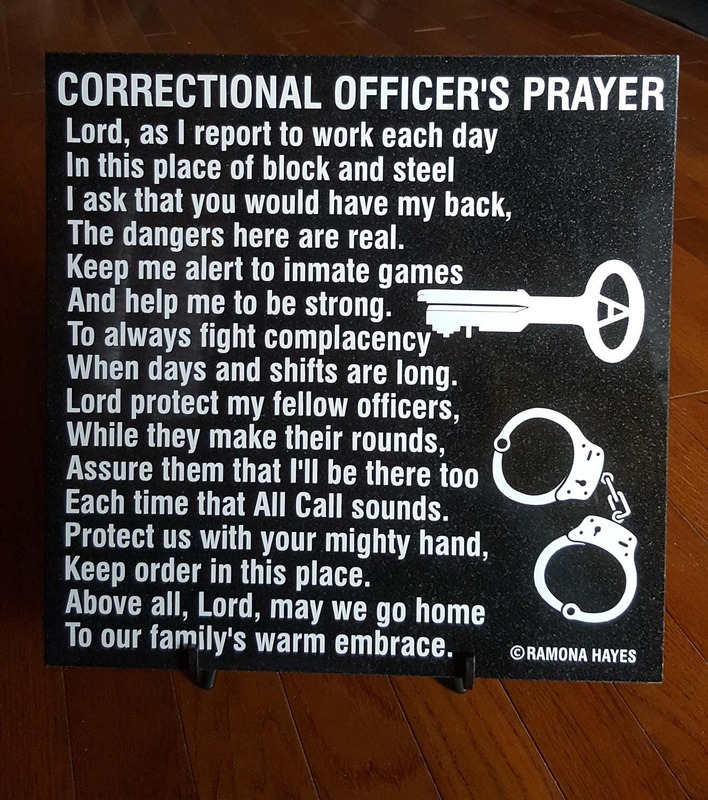 It is a wonderful tribute to those who work behind the wall and face constant danger to keep us safe. This plaque is heavy. They generally weigh over seven (7) pounds each. 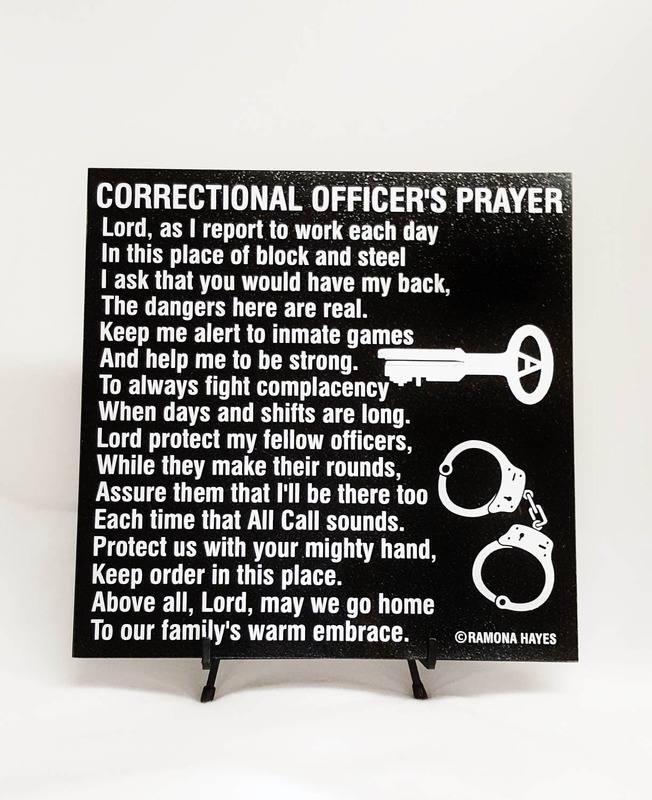 If you wish to display the C.O. 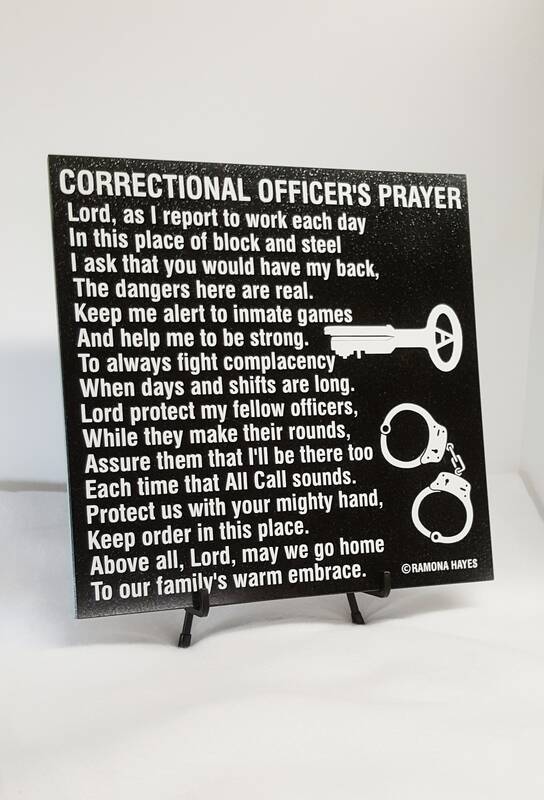 Prayer on a table or shelf, you will want a strong easel. We recommend an 18" easel. 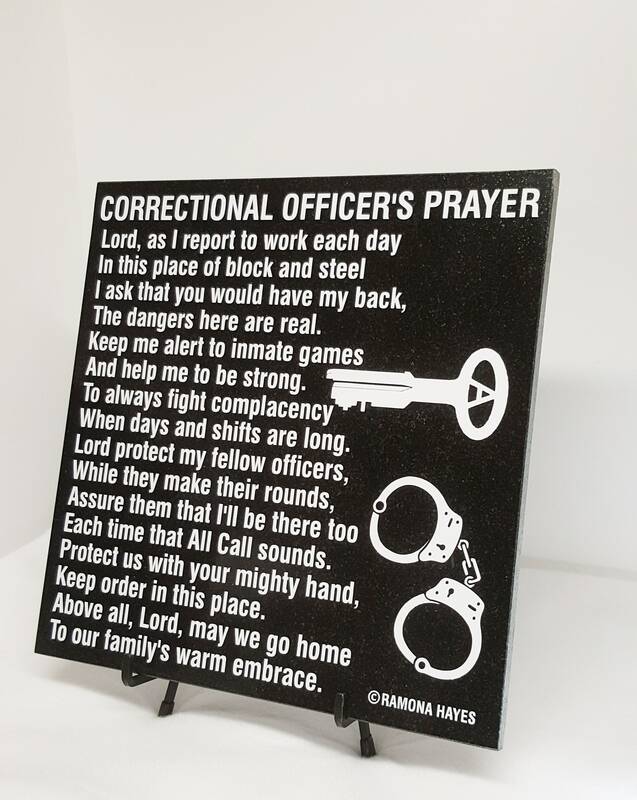 This granite plaque is written from a retired C.O. 's heart. 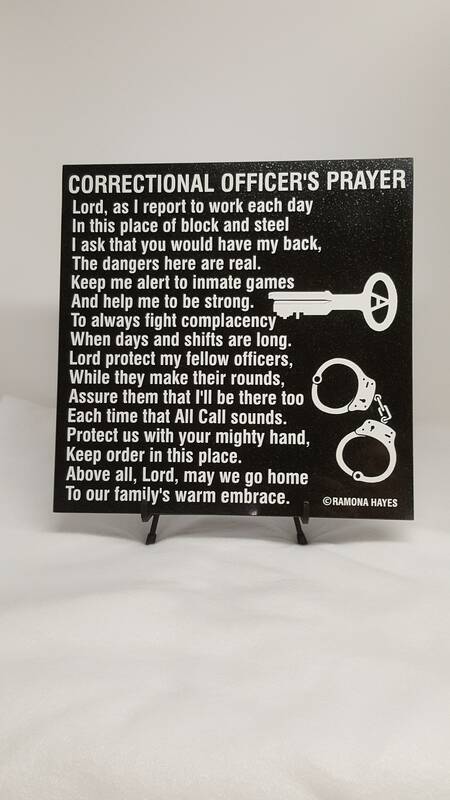 It is the prayer of every Correctional Officer and Guard. It is appropriate for both a graduating cadet from the Correction's Academy as well as a perfect gift for a C.O. 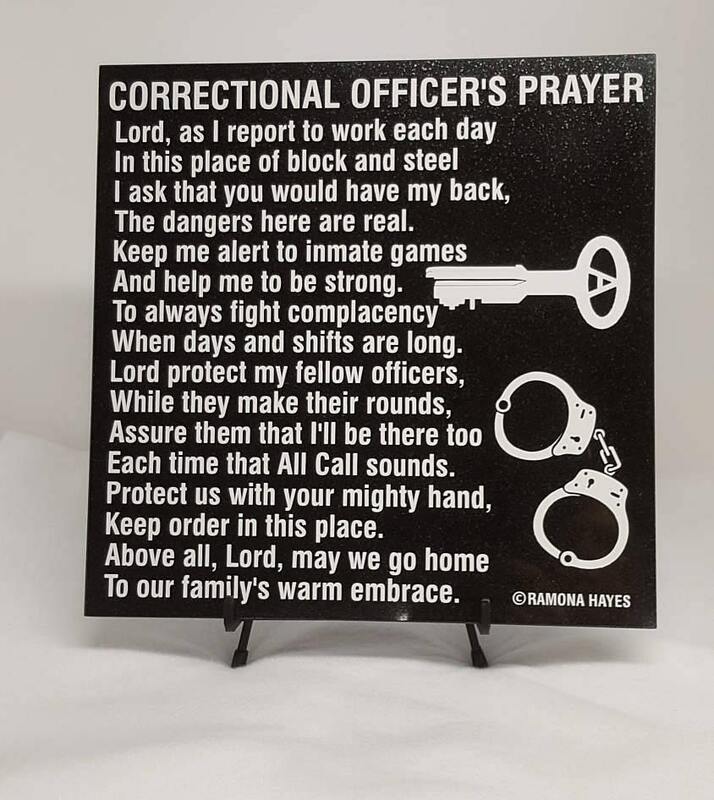 who is retiring or anyone who has chosen this career path. 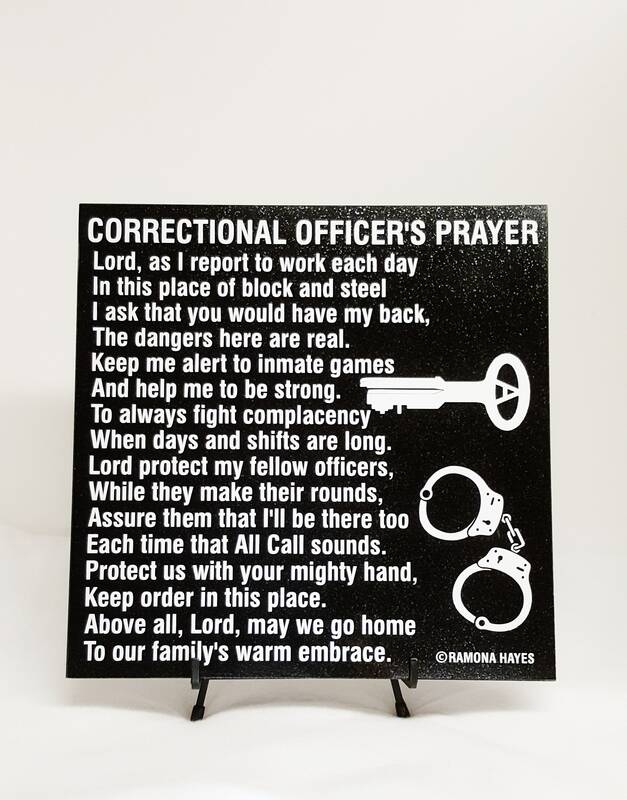 ** This is a copyrighted verse by Ramona Hayes and is only available through Three Dames Dreamin' LLC.